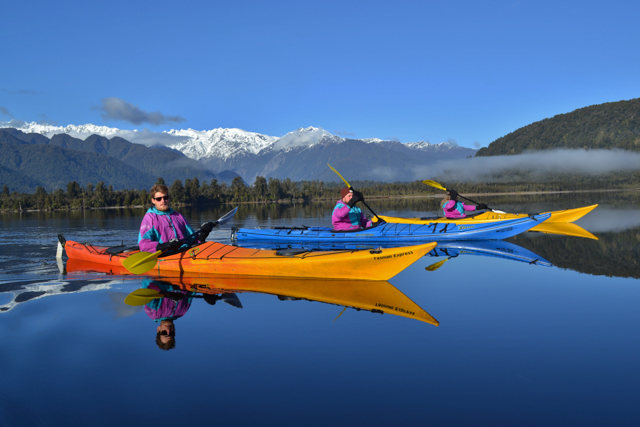 For a kayaking tour that you will never forget book a tour with Glacier Country Kayaks where you can experience Franz Josef’s unique landscape up close, from Westland’s protected wetlands, untouched forest and rugged coastline to the dramatic Southern Alps. 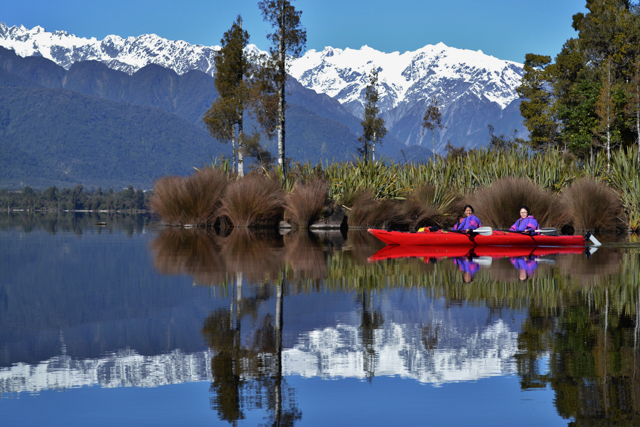 As you paddle through the protected habitat of the Kiwi, you will enjoy unbeatable panoramic views of mountains and glaciers. 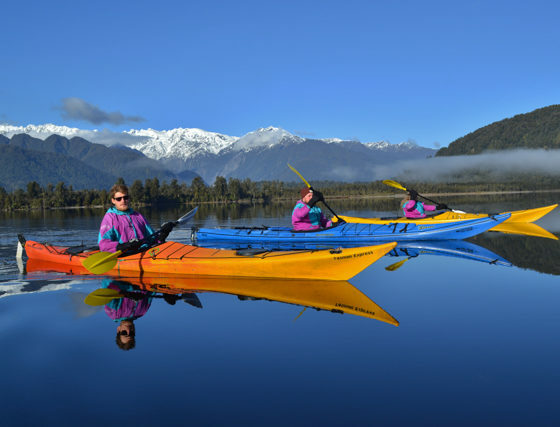 Operating a number of guided Kayak Tours, your amazing kayak adventure is just a few minutes away from the Franz Josef Glacier. 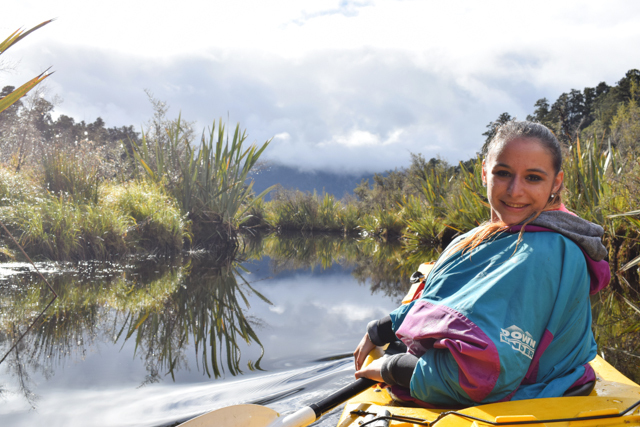 Our Guided Kayak Eco-Tours operate in the Westland National Park, boasting Lake Mapourika with it’s stunning reflective water, panoramic snow capped mountain views and the Okarito Kiwi Sanctuary, a photographers paradise. Tours depart at various times throughout the day. 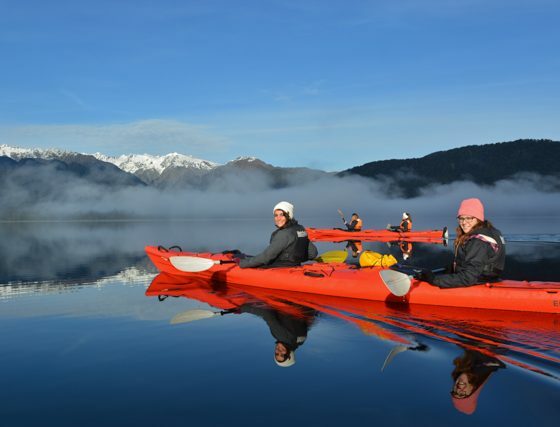 Enjoy 3 hours of gentle exercise and an unbeatable panoramic view of the surrounding mountains and glaciers. 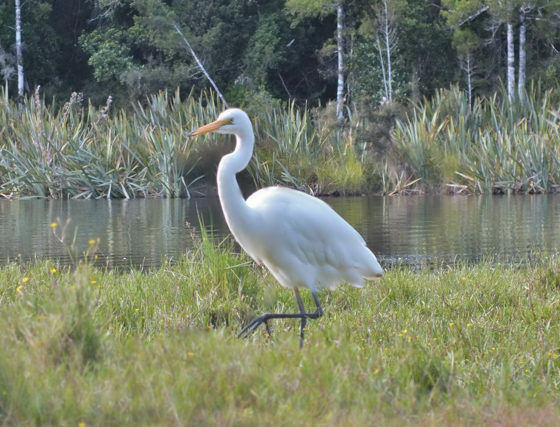 Cruise along a narrow estuary amidst the lush ancient rainforest of the Okarito Kiwi Sanctuary, via our infamous rainforest creek all to the sound of native birdsong. 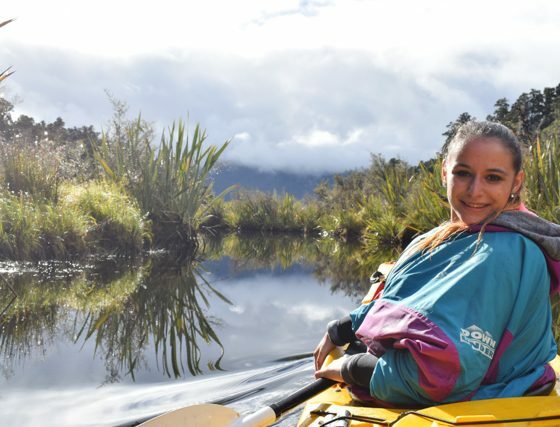 A unique and unbeatable kayak experience! 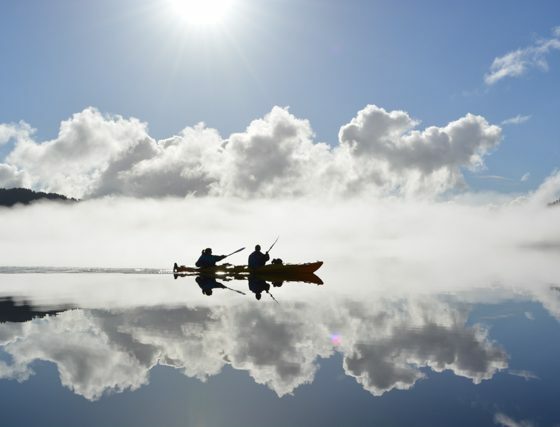 The 9am ‘Morning Tour’ offers a crisp and clear time of day when your paddle will glide effortlessly through the surface of the glassy lake and you can enjoy views as far as Mount Cook and Tasman whilst enjoying the peace and serenity of the lake. 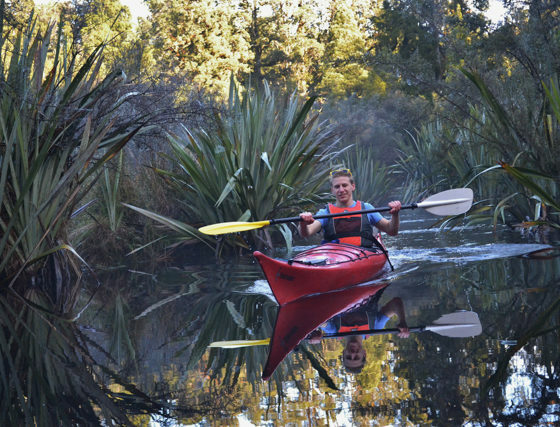 A perfect adventurefor families and inexperienced paddlers alike. 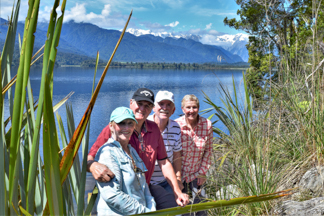 The start time of the ‘Afternoon Tour’ varies depending on season and makes for a more sporty adventure as the afternoon breeze can often ripple the surface. 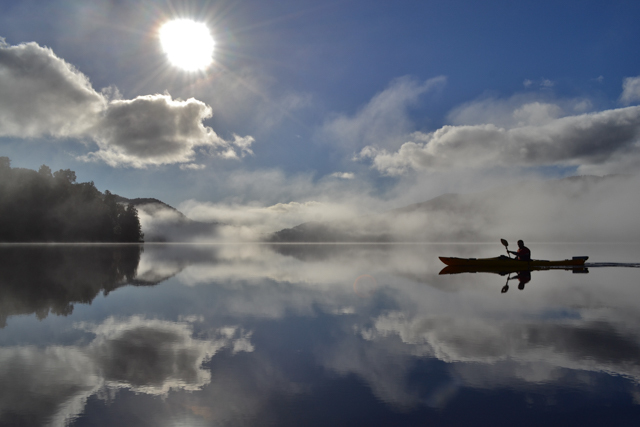 This is West Coast Kayaking at its finest, the clouds can create a moody and dramatic look and at sunset you may capture that ‘perfect’ photo. 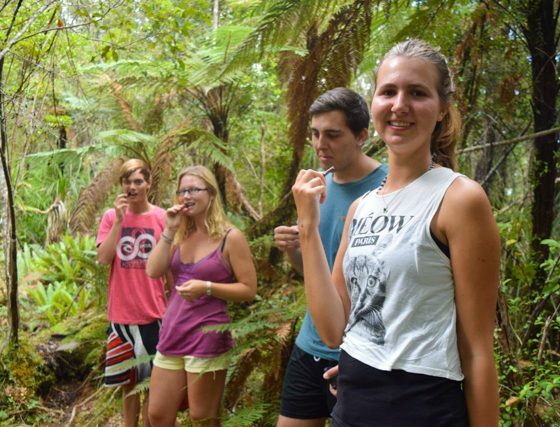 lasts approximately 4 hours and this is your chance to explore some of Westland’s oldest untouched rainforests. 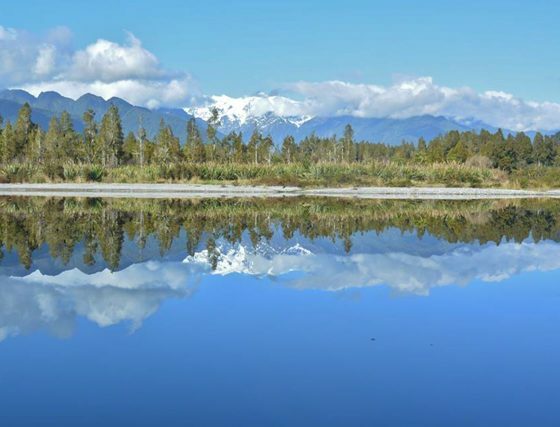 Our magical rainforest trail takes you on a journey to another era,Paddle effortlessly across Lake Mapourika’s mirror-like water, taking in the spectacular views of the Southern Alps and glaciers. 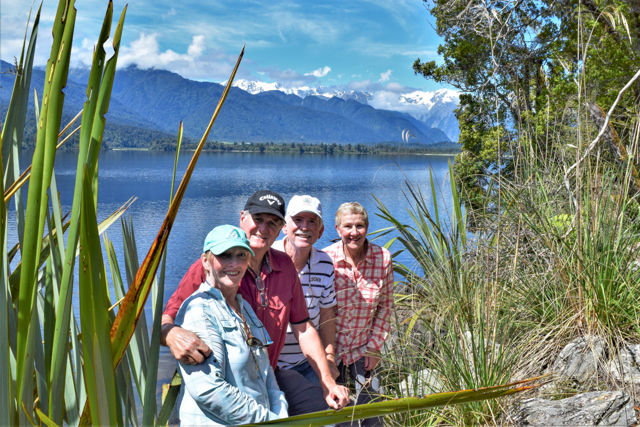 Once on the far side, your guide will take you to a small bush clad beach where you will get the chance to explore some of Westland’s oldest untouched rainforest! 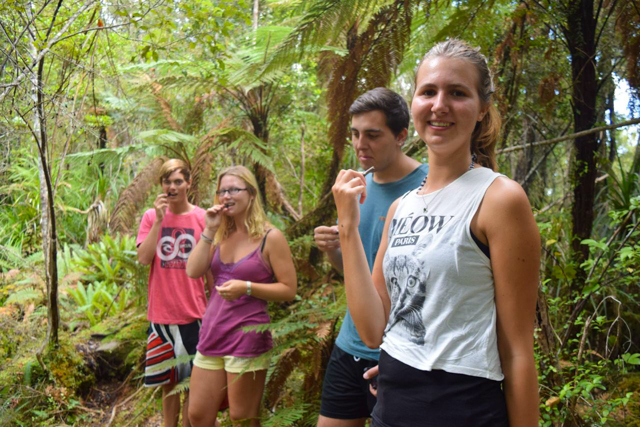 Our magical Rainforest Trail is designed to take you on a walk through another time. 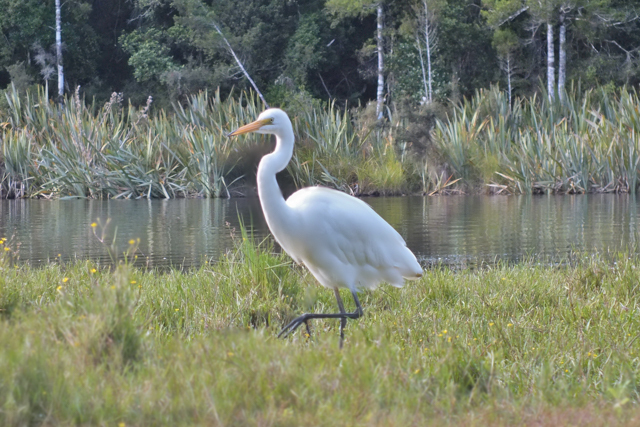 Jurassic Rainforest, abundant bird life and home to the rarest kiwi’s on the planet – simply unforgettable. 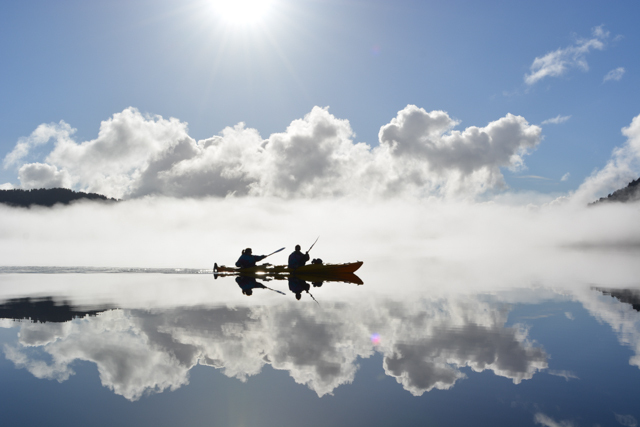 Embark on our original Kayak Classic adventure a bit later in the day to enjoy Lake Mapourika’s unbeatable sunset. 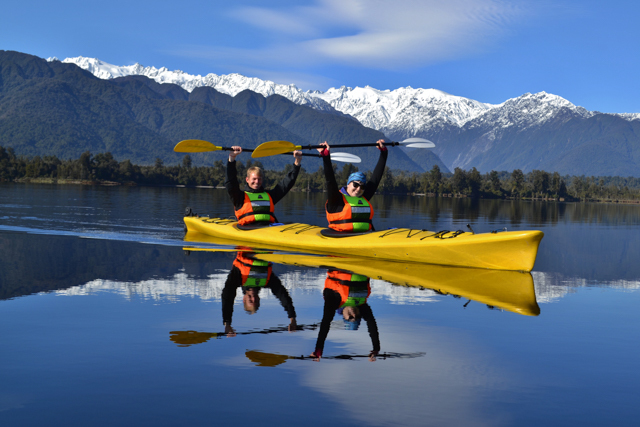 3 hours of gentle exercise and an unbeatable panoramic view of the Southern Alps and glaciers. A premium tour only available during the summer months. This is the best way to end your day in Glacier Country! 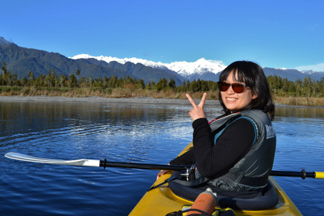 The 1 Hour Kayak Discovery offers an excellent ‘taste’ of kayaking for beginners which is suitable for all ages! 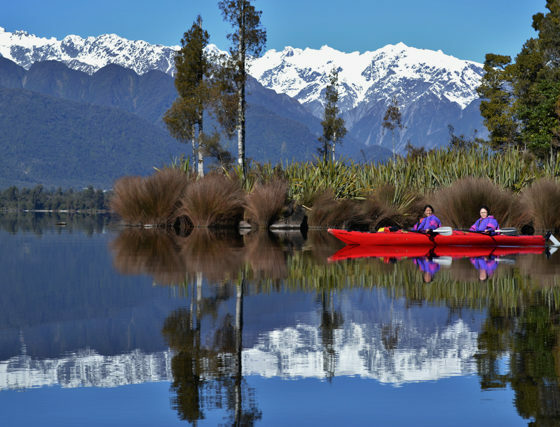 This tour is designed to get novice paddlers out for one of the most scenic kayak exeriences! 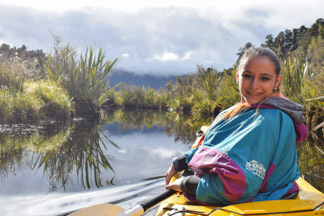 Your guide will provide full instruction before getting you out onto Lake Mapourika’s calm reflective water and to explore some of Westland’s Oldest Untouched rainforest! 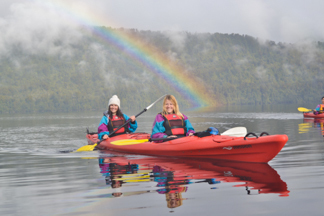 The Kayak Discovery takes you out of Jetty Bay to discoversome of the amazing scenery that the area has on offer. 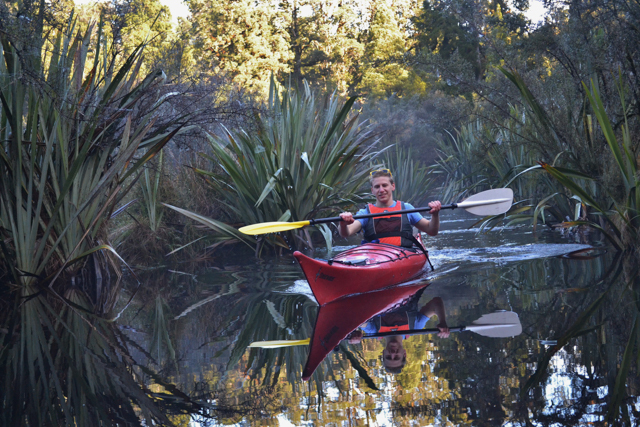 Visit an old growth Kahikatea tree which isone of the oldest trees around the lake! 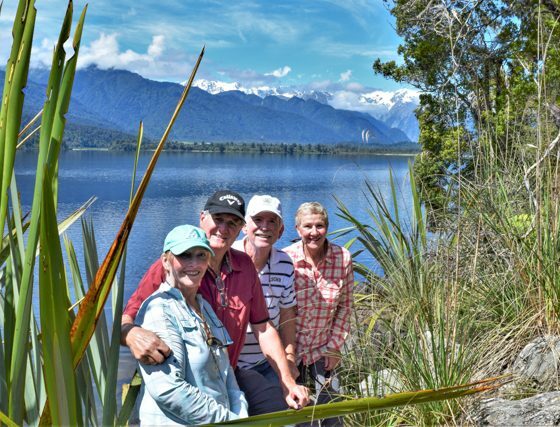 Your guide will also take you to a scenic spot where to enjoy thepanoramic mountain and glacier views. 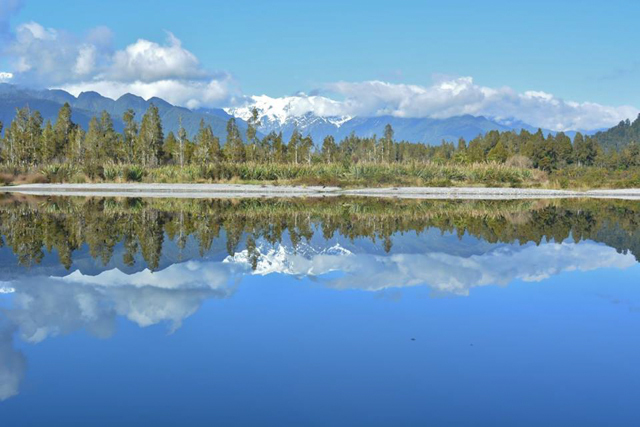 ***Please note: The Discovery Tour does not cross the Lake, and will follow only the shoreline for a short distance. 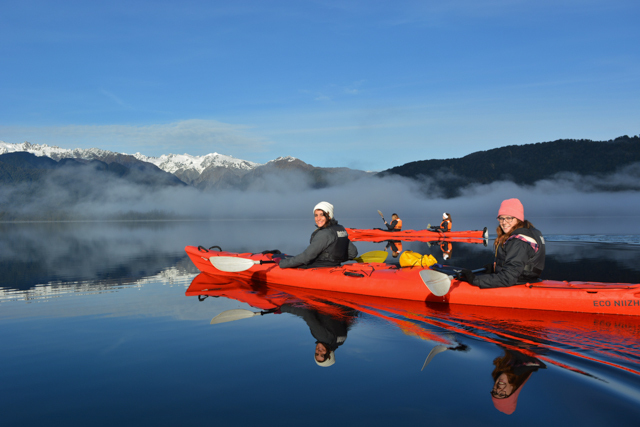 If you’re after a tour with more paddling, look into our longer trips! 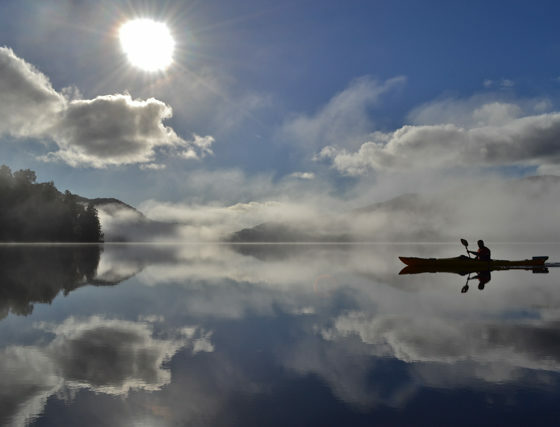 Paddling distance is often less than 1 km total. 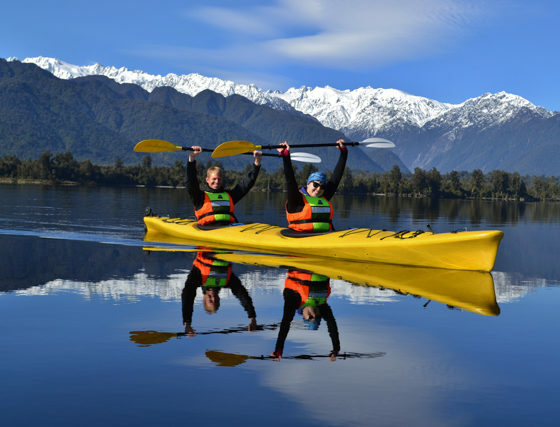 We also offer number of ‘Combo Tours’ that include ‘Scenic Flight Combos’, Heli-Hike Paddles’ and Skydive and Kayak Combos’ . Please visit our website for more details.